Topological GeometroDynamics is a modification of general relativity inspired by the conceptual problems related to the definitions of inertial and gravitational energy in general relativity. Topological geometrodynamics can be also seen as a generalization of super string models. Physical space-times are seen as four-dimensional surfaces in certain eight-dimensional space. The choice of this space is fixed by symmetries of the standard model so that geometrization of known classical fields and elementary particle quantum numbers results. The notion of many-sheeted space-time allows re-interpretation of the structures of perceived world in terms of macroscopic space-time topology. The generalization of the number concept based on fusion of real numbers and p-adic number fields implies a further generalization of the space-time concept allowing to identify space-time correlates of cognition and intentionality. 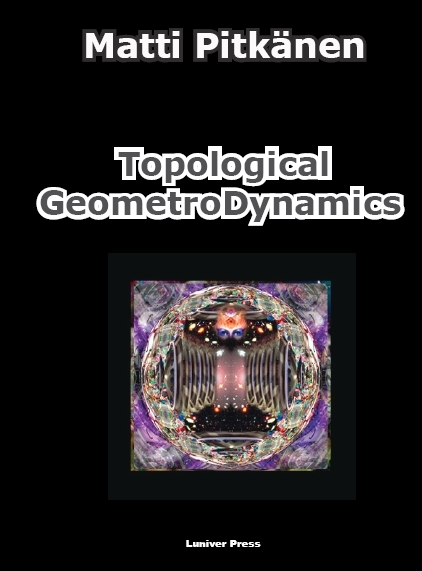 The book is a comprehensive overview and analysis of topological geometrodynamics as a mathematical and physical theory. 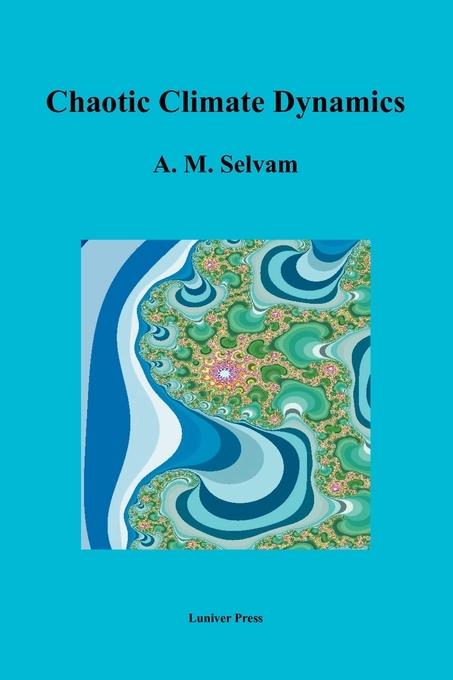 A.M. Selvam, Chaotic Climate Dynamics (Luniver Press, 2007), 156 pages. Atmosphere is a chaotic system. As such it is inherently unpredictable. The book applies chaos theory to understand and predict climate systems. Author presents a cell dynamical system model for turbulent fluid flows. The model envisages the irregular space-time fluctuations of the atmospheric flow pattern generated as a consequence of the superimposition of a continuum of eddies. The natural space-time variability is quantified in terms of the universal inverse power-law form of the statistical normal distribution. A range of possible applications of the cell dynamical system model for weather and climate system is discussed. The book provides a comprehensive reference material for scientists and academicians working in the field of atmospheric sciences and related topics. A. Adamatzky, L. Bull, B. 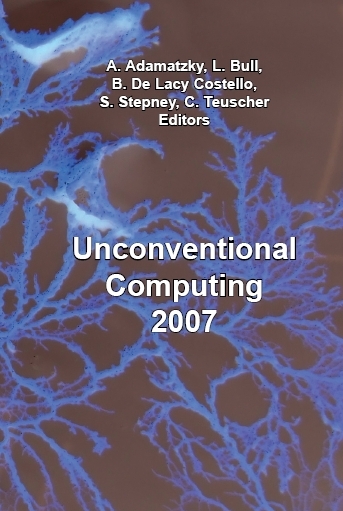 De Lacy Costello, S. Stepney, C. Teuscher, Unconventional Computing 2007 (Luniver Press, 2007), 332 pages. Unconventional computing is the quest for groundbreaking new algorithms and computing architectures based on and inspired by the principles of information processing in physical, chemical and biological systems. The timely scientific contributions in this book include cutting-edge theoretical work on quantum and kinematic Turing machines, computational complexity of physical systems, molecular and chemical computation, processing incomplete information, physical hypercomputation, automata networks and swarms. They are nicely complemented by recent results on experimental implementations of logical and arithmetical circuits in a domino substrate, DNA computers, and self-assembly. The book supports interdisciplinary research in the field of future computing and contributes toward developing a common interface between computer science, biology, mathematics, chemistry, electronics engineering, and physics. Al Summers, So You Want to be a Full-Time Guita Tutor? (Luniver Press, 2006). A number of books have written aimed at music teachers. Most centre on classroom tuition; a few cover general instrumental teaching but, again, the emphasis is often on working in schools and/or in group contexts. This book is a practical look at being a full-time, privately-based guitar tutor delivering lessons on a mainly one-to-one basis. The text is not about lesson content but about the business and day-to-day running of a tuition practice and the considerations a tutor needs to keep in mind. The book will be useful to those considering taking this step, those new to the profession and to those stepping up from part-time tuition as well as being full of insights and helpful tips for those who are already full-time guitar teachers. Indeed, any private or peripatetic music tutor will find something of benefit within these thoughtful pages, based upon over three decades of experience. Stephanie Conybeare, A Breath for Nothing (Luniver Press, 2007), 64 pages. A Breath for Nothing regards the world with an observant eye and a restless roaming intellect drawn by science, art and mythology. Through these conduits the reader arrives at mysterious destinations where fragments of narrative, like something overheard in a crowd, present a dangerous eavesdropping on unseen forces and individuals timelessly role-playing. With clarity and complexity, these poems delineate a range of human (and inhuman) experience which is both intensely strange and deeply familiar. A. Adamatzky and C. Teuscher, From Utopian to Genuine Unconventional Computers (Luniver Press, 2006), 224 pp. 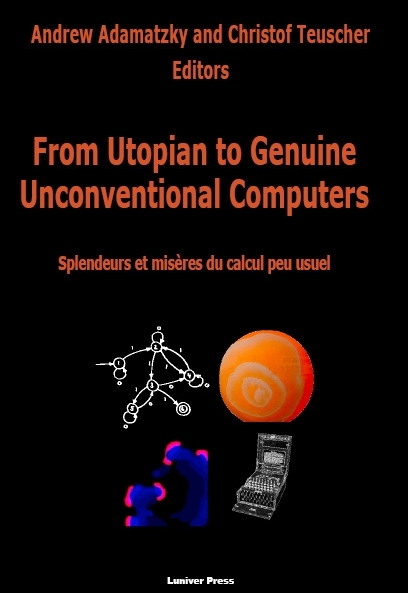 Unconventional computing is a field of advanced computer science, which general goal might be summarised as the quest for both new groundbreaking algorithms and physical implementations of novel and ultimately more powerful - compared to classical approaches - computing paradigms and machines. This volume brings together work that especially focuses on experimental prototypes and genuine implementations of non-classical computing devices. A further goal was to revisit existing approaches in unconventional computing, to provide scientists and engineers with blue-prints of realisable computing devices, and to take a critical glance at the design of novel and emergent computing systems to point out failures and shortcomings of both theoretical and experimental approaches. 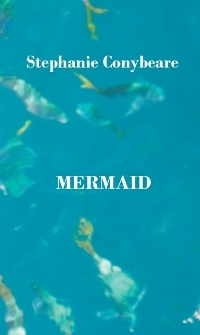 Stephanie Conybeare, Mermaid (Luniver Press, 2006), 180 pages. Some fairy tales never die. The little mermaid lives again, not in rural Denmark this time, but in a strange phantasmagoric inner city world of rain and neon. Here princes are fire-eaters, princesses transvestites, and witches walk high-wires. The mermaid, still out of her element and looking for love, gardens by day and clubs by night. But just because a story is retold, need the ending be the same? 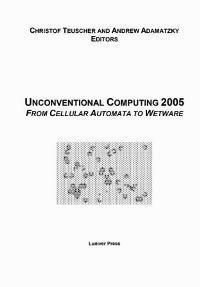 C. Teuscher and A. Adamatzky, Unconventional Computing 2005 (Luniver Press, 2005), 176 pages. The book brings together work from a multidisciplinary core of scientists who are working in the field of unconventional computing. The goal was to provide a common ground for dialog and interaction, to highlight the latest advances, and to discuss the main directions for the future. Topics include programming of chemical systems, evolving logical gates in liquid crystals, image processing in chemical media, reaction-diffusion electronic circuits for computation and pattern generation, rule migration in cellular automata, multi-state quantum automata, DNA computing of shortest path, and artificial chemistries. The papers collected in this book provide a good overview of hot research topics in the vibrant field of unconventional computing. Stephanie Conybeare, The White Macaw (Luniver Press, 2006), 328 pages. Annie d'Orcy is an aviatrix, Zen Buddhist and writer of children's stories based on her constant (and long-suffering) companion, a parrot called Dogen. 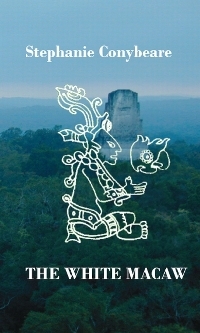 In The White Macaw she lands her plane at a Mayan site in the jungles of Chiapas, Mexico, looking for her daughter Perdita who, she believes, has gone there after some sort of story. Is it Mayan nationalism? If so, this is what brought about the death of Perdie's famous photojournalist father. The parallel is too close for Annie's peace of mind, and while trying to find out where Perdie is, and what she's up to, Annie encounters a colourful collection of characters - drug-runners, Buddhists in retreat and eccentric archeologists dabbling in shamanics - all of whom play a part in the breath-taking conclusion. 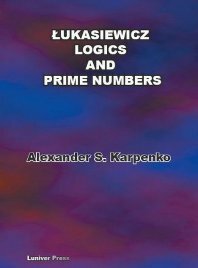 A. Karpenko, Lukasiewicz's Logics and Prime Numbers (Luniver Press, 2006), 168 pages. Is there any link between the doctrine of logical fatalism and prime numbers? What do logic and prime numbers have in common? The book adopts truth-functional approach to examine functional properties of finite-valued Lukasiewicz logics Ln+1. Prime numbers are defined in algebraic-logical terms (Finn's theorem) and represented as rooted trees. The author designs an algorithm which for every prime number n constructs a rooted tree where nodes are natural numbers and n is a root. Finite-valued logics Kn+1 are specified that they have tautologies if and only if n is a prime number. It is discovered that Kn+1 have the same functional properties as Ln+1 whenever n is a prime number. Thus, Kn+1 are 'logics' of prime numbers. Amazingly, combination of logics of prime numbers led to uncovering a law of generation of classes of prime numbers. Along with characterization of prime numbers author also gives characterization, in terms of Lukasiewicz logical matrices, of powers of primes, odd numbers, and even numbers. Hal Shows, Parasol. Poems 1977-2007 (Luniver Press, 2007), 80 pages. In language at once bracingly direct and lyrical, these poems, which roam from the freest of free verse to traditional forms, fuse the creative heart and the keen critical intellect in a way reminiscent of D.H. Lawrence and Stanley Kunitz. Their themes range from the personal to the global. Classical motifs merge with modern mayhem, and the results are revelatory. At the centre of the book is the search for love in a world that degrades the notion daily. This rare book of poems will appeal equally to the scholar, the critic, the lover of poetry, and all students of the human heart. "Hal Shows is a natural born poet and a rock and roll mastermind all in one extremely talented package." 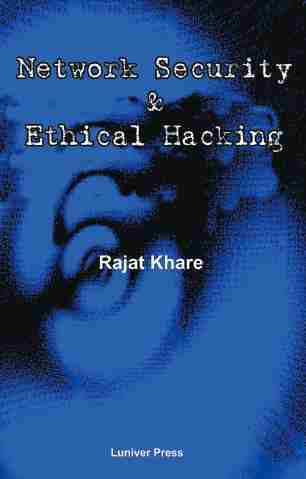 R. Khare, Network Security and Ethical (Luniver Press, 2006), 344 pages. Information security is a highly integral aspect of our daily life, both real-world and virtual. Information security is essentially a process for securing the information of any information user. Today we have valuable information, which is stored on computer/server or data warehouses and digital storage similar to our safes and lockers. The passwords to these digital mediums are the keys to our physical data and asset security media. There are hackers around who either crack these passwords or bomb the locks with various attacks. In the past people had safes for storing their valuables and in today's world almost every one uses computers and stores valuable information like word documents, proposals, usernames, passwords, credit cards. Therefore we all need to understand information security. This book serves as a complete reference for information security including IT security, data security, network security, internet security, penetration testing, cryptography and laws governing the industry. The book presents the subject in simplified manner so that even a beginner in a security understands and implements information security at personal and corporate levels. Hal Shows reads from "Parasol"
Xin-She Yang, Nature-Inspired Metaheuristic Algorithms (Luniver Press, 2008), 128 pages. Modern metaheuristic algorithms such as bee algorithms and harmony search start to demonstrate their power in dealing with tough optimization problems and even NP-hard problems. This book reviews and introduces the state-of-the-art nature-inspired metaheuristic algorithms in optimization, including genetic algorithms, bee algorithms, particle swarm optimization, simulated annealing, ant colony optimization, harmony search, and firefly algorithms. We also briefly introduce the photosynthetic algorithm, the enzyme algorithm, and Tabu search. Worked examples with implementation have been used to show how each algorithm works. This book is thus an ideal textbook for an undergraduate and/or graduate course. 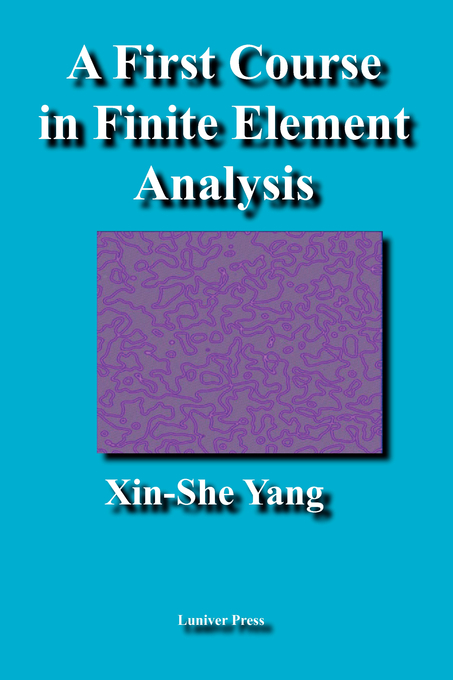 As some of the algorithms such as the harmony search and firefly algorithms are at the forefront of current research, this book can also serve as a reference book for researchers. Stepney S., Polack F., Welch P. (Eds.) CoSMoS 2008: Complex Systems Modelling and Simulation (Luniver Press, 2008). The study of Complex Systems is growing rapidly, and modelling and simulation tools are an important part of the process. This volume brings together work from a multidisciplinary group of scientists, from biology and computer science, who are studying a variety of techniques and applications for modelling and simulating complex systems. A common theme emerging from much of this work is an emphasis on validation: how one can have confidence that a computer simulation is saying something sensible about the complex real-world domain of interest. Al Summers and Ray Bradfield. On the Slide. 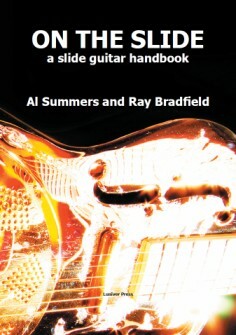 A slide guitar handbook (Luniver Press, 2009), 52 pp. 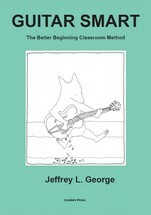 This book, written by two experienced and enthusiastic slide players and educators, will teach you (with the aid of audio samples downloadable from www.luniver.com/ontheslide) how to get the sound you want to achieve. Subjects covered include: Positioning the slide; Good Intonation; Essential damping techniques; Tuning to open chords; different, widely-used tunings; Vibrato; Single string and chord work; Riffs, licks and technical details. Also provided is a wealth of simple tunes to play the slide way, all especially chosen and arranged to give you the best start in making your own great slide sound. The book includes helpful listening suggestions, and other useful tips for further study. 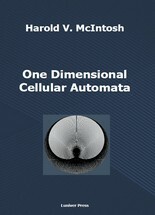 The book deals with analytical and computational studies of spatially-extended discrete dynamical systems: one-dimensional cellular automata. The topics included are non-constructible configurations, reversibility, probabilistic analysis and De Bruijn diagrams. Techniques discussed are based on topology, matrix theory, formal languages and probability theory. The book is an excellent reading for anybody interested in non-linearity, emergency, complexity and self-organization. Available classroom methods downplay the role of the guitar as the instrument of popular culture. This method allows the student to learn through tunes from three decades of popular music building a strong foundation that first, allows them to adapt to a variety of musical styles with the skills learned; secondly, provides them with more practical experience for interacting in musical situations; and thirdly, fosters achievement on the instrument with graded technical demands, in turn, increasing the desire to further one's abilities. The book is unique in its detail in nurturing the beginner through the physical challenges associated with the early learning experience. The main focus is to help the beginner to become proficient with all fundamental major and minor chords from the natural musical alphabet through learning classic songs guided by selected elements of musical notation specific to understanding rhythm. A number of pieces deal with single note playing and a section on basic applied music theory is included. About author: Jeffrey George, professor of classical and jazz guitar studies at the University of Louisiana at Lafayette, earned his doctorate from Arizona State University in Tempe, AZ where he was awarded both a graduate college scholarship and a board of regents grant. He has been the recipient of numerous scholarships and awards including support for academic programs at Berklee College of Music, Musicians Institute, and the National Guitar Summer Workshop. Artists with whom he has performed include Ritchie Havens, Taj Mahal, Joe Henderson, Billy Childs, David Baker and Richard "Groove" Holmes. 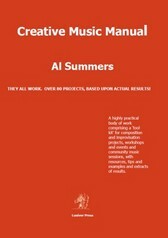 Al Summers, Creative Music Manual (Luniver press, 2009). Creative music manual is a 'tool kit' of over 80 composition and improvisation projects, workshops and events and community music sessions, with resources, tips and examples based upon actual results, gathered from more than three-and-a-half decades of practical creative experience. Exploring many musical, social and communication skills, this book is for youth clubs and youth groups; care homes and day centres; schools; villages and community groups; working with local authorities; hospitals; as GCSE and A level composition ideas; music tutors; ensembles and amateur orchestras; summer schools and evening classes; anyone interested in exploring creative music ideas, short-term or long-term, with a minimum of fuss - all the kinds of people, places and circumstances for whom and in which these projects have been tried and tested for over three decades . There is also help for project leaders and their assistants and trainees to be prepared to run with ideas from the floor as well as give permission to participants to be themselves and this achieve effective and perhaps astonishing results. World leading experts give their accounts of the modern mathematical models in the field: Markov Decision Processes, controlled diffusions, piece-wise deterministic processes etc, with a wide range of performance functionals. One of the aims is to give a general view on the state-of-the-art. The authors use Dynamic Programming, Convex Analytic Approach, several numerical methods, index-based approach and so on. Most chapters either contain well developed examples, or are entirely devoted to the application of the mathematical control theory to real life problems from such fields as Insurance, Portfolio Optimization and Information Transmission. 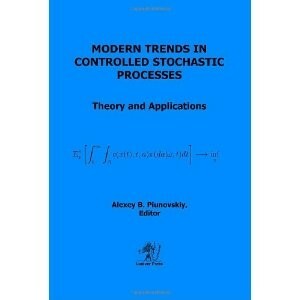 The book will enable researchers, academics and research students to get a sense of novel results, concepts, models, methods, and applications of controlled stochastic processes. Notes From Lonely Man Ranch, the first collection of humorous writings by Florida native Hal Padgett, is a pie in the face, a kick in the shin and a swat in the keester to the absurdities and frustrations that bombard his noggin daily. Beware: These vignettes have induced violent giggling, thunderous guffaws and soul-purging screams from otherwise level-headed adults.